Manufactured from 125mm x 25mm tongue, groove and v-jointed timber, ledged and braced. Both doors lined with exterior grade plywood to give an overall thickness of 50mm. 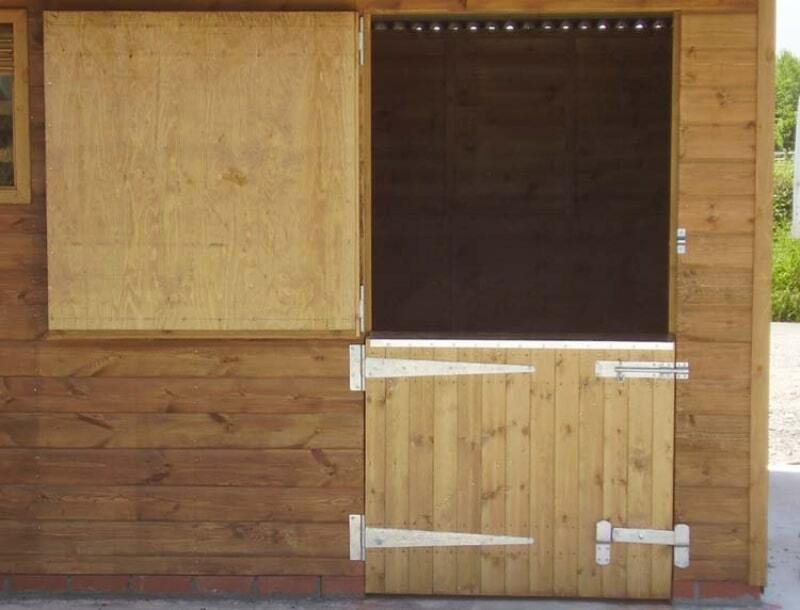 Standard door size 1.1m wide x 2.1m high . Bottom door height can be made to suit. Bottom doors are furnished with 1 x strong anti-chew strip, 1 x heavy duty kick-over latch, 1 x 225mm brenton bolt, 1 x 150mm cabin hook and 1 pair of 600mm long tee hinges. Top doors are furnished with 1 x 100mm oval pad bolt, 1 x 150mm cabin hook, 1 pair of 600mm long tee hinges.